Shaved, Rock, Sphere or Pebble. 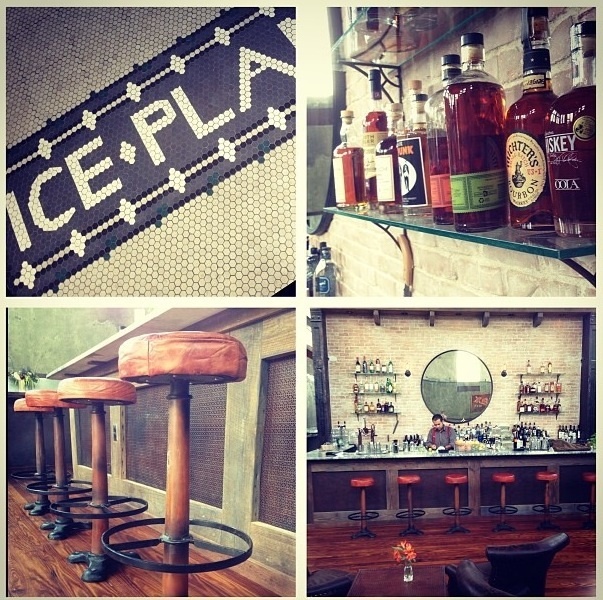 The Ice Plant; a new craft cocktail bar located in the Lincolnville neighborhood of St. Augustine Florida. Step through the door and take a step back in time; every aspect of this establishment has been fashioned with dapper details. The building was erected in 1927 for the production of ice blocks used to preserve fresh produce, the original ice crane still hangs from the ceiling. The walls have been scrubbed to expose the original brick, the use of period appropriate attire and hand chiseled ice lend themselves to the integrity of the building. We ordered from an descriptive list of hand crafted cocktails; poured into vintage style vessels and served on a silver platter. 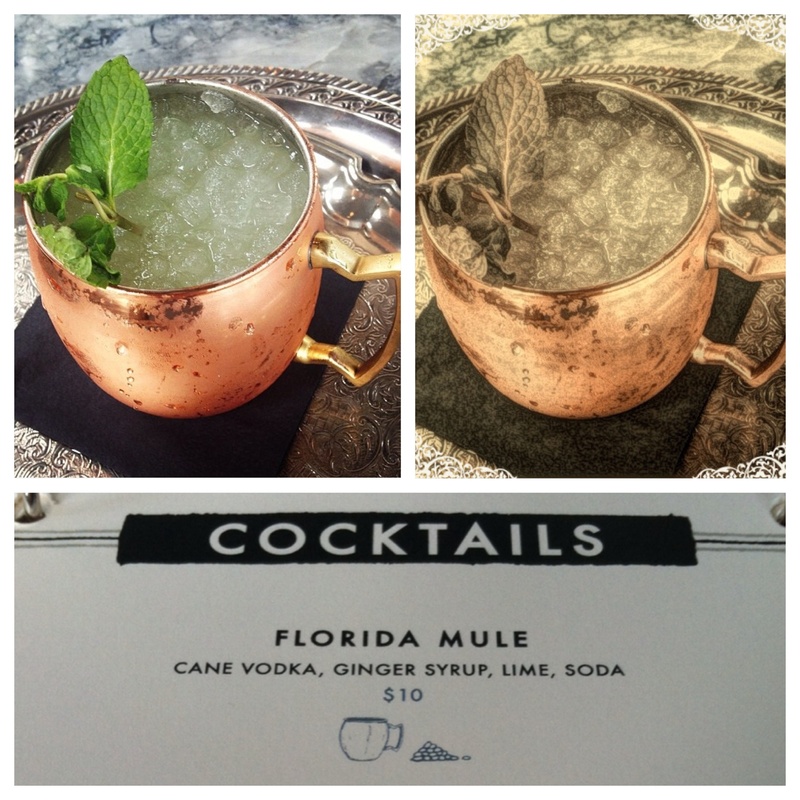 I had the Florida Mule, similar to a Moscow Mule the cane vodka and flavor of fresh ginger syrup was both biting and refreshing. 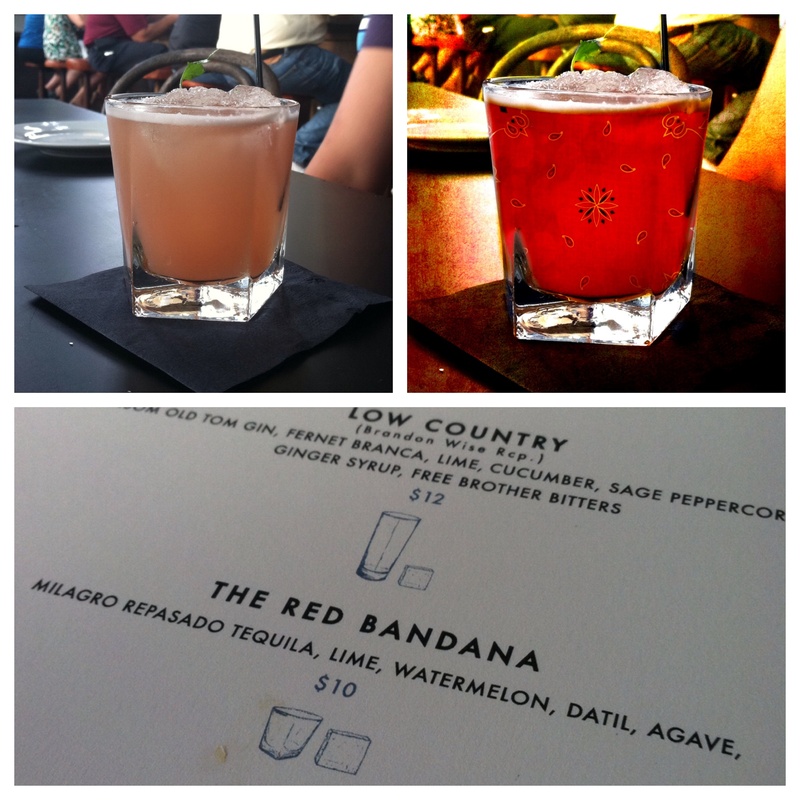 My son, a discerning bartender was impressed with the Red Bandana, a mixture of tequila, watermelon and datil pepper. I knew he approved when he ordered a second round. The menu is small and well designed. Soft pretzel bread with truffle cheddar fondue appetizer, hand cut fries and one of the best burgers I’ve ever eaten; these are just a few of the nifty edibles on the menu.